A mouth full of metal isn’t exactly an appealing alternative to crooked, misaligned teeth. You can say no to both! The general and cosmetic dentists at Lowes Island Dentistry in Potomac Falls, Virginia, provide Invisalign® teeth alignment treatments. Call Lowes Island Dentistry or schedule an appointment online today if you want to straighten out your smile without the inconvenience of braces. You have an innovative new alternative to braces: Invisalign. 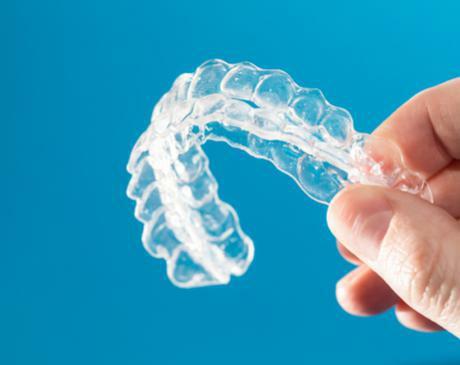 With Invisalign, clear plastic aligners fitted over your teeth will align your teeth little by little over time. Your dentist at Lowes Island Dentistry may recommend an alternative treatment if you have major orthodontic and alignment issues. The best way to find out if Invisalign is right for you is by scheduling an appointment. First, your dentist examines your teeth to determine whether Invisalign is right for you. They may take a physical impression of your teeth or use a digital scanning device to create 3D images. Your dentist will use these to develop a unique treatment plan for you. After that, your dentist will fit customized plastic aligners to your teeth. The aligners gently move your teeth into ideal alignment while you wear them. 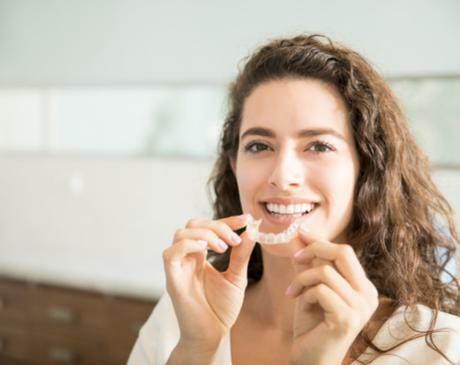 As your teeth begin to shift, new aligners may be made. This process repeats until your smile has its new shape. Talk to your dentist if you want to straighten your teeth without painful, unsightly braces by calling Lowes Island Dentistry or booking an appointment online today.